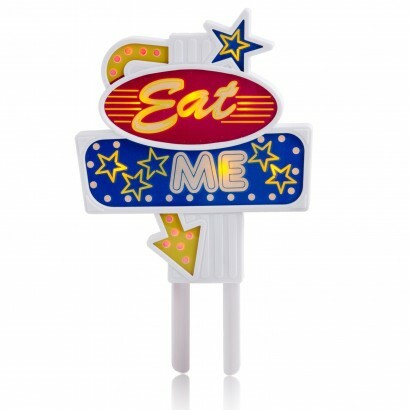 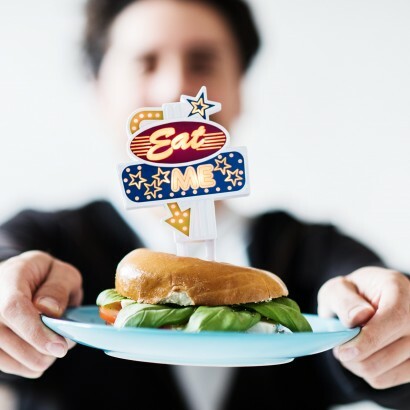 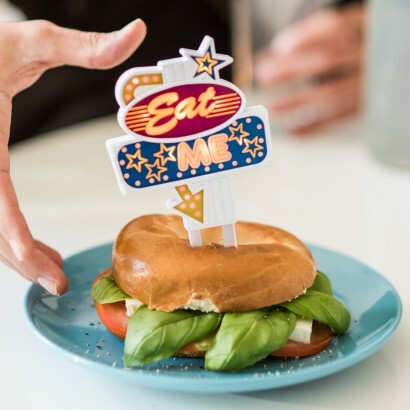 Add bling to special dishes and invite diners to tuck in with a sparkling retro food sign that invites diners to "eat me". 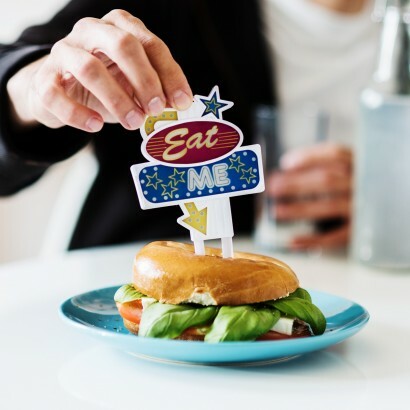 Ideal for special occasions and topping delicious treats such as cake, burgers, pancake stacks and more, this food topper adds retro glam and sparkle to your foodie treats. 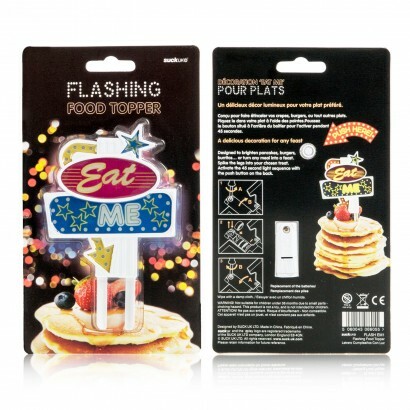 Simply spike into food, press the button and the lights will flash for 45 seconds, long enough to serve up your yummy dish!